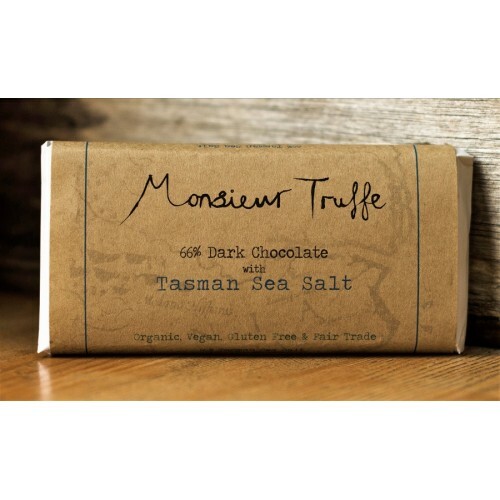 Monsieur Truffe 66% Dark Chocolate has a delicate acidity and notes of raspberries, sprinkled with Tasman Sea salt for added depth. 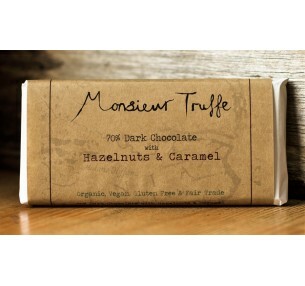 Gluten free, Vegan friendly and Organic, this delectable block ticks all the boxes as an indulgent gift for any occasion. 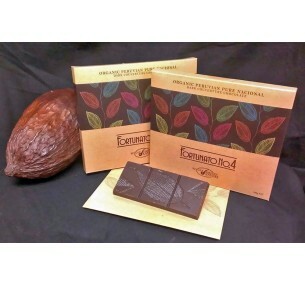 Monsieur Truffe 36% Milk Chocolate, is a rich, silky chocolate blended with house-made caramel and s..